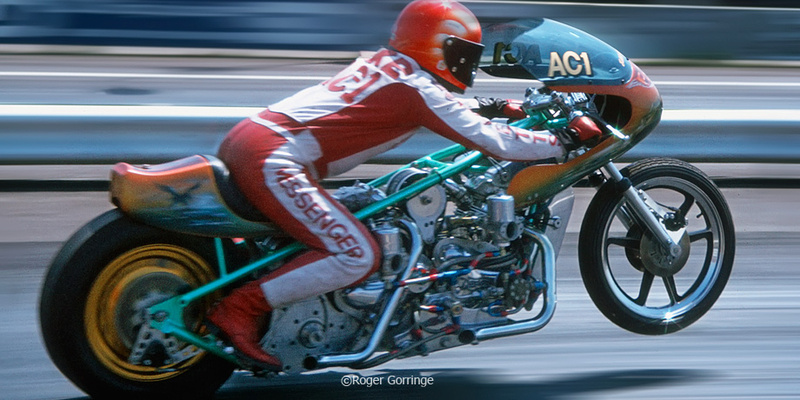 It was during the heady days of British Drag Racing from 1968 to 1980 that Derek Chinn, Mike Butler & Ian Messenger built & raced a succession of Top Fuel motorcycles under the name of Pegasus. 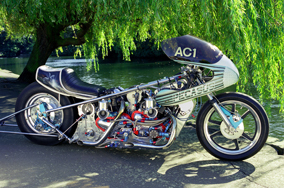 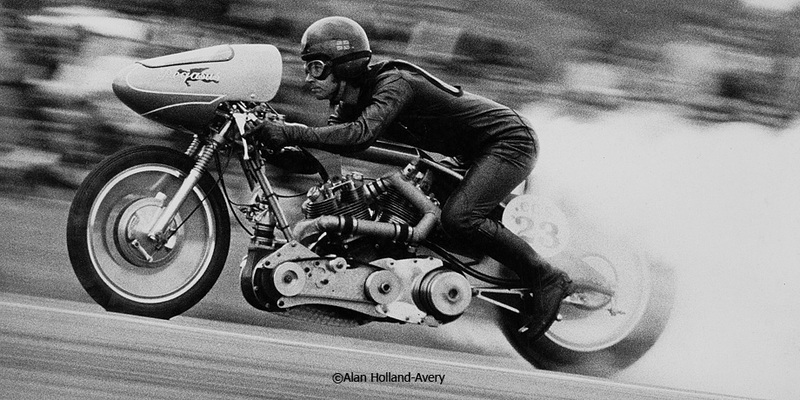 The team initially used the infamous V-twin Vincent engine and then from 1974, without Mike Butler, two supercharged Norton engines. 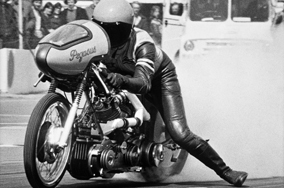 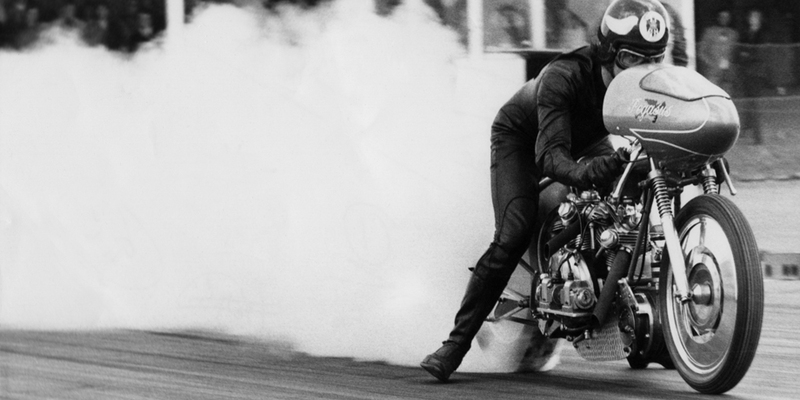 During this period they established themselves as a front running team, winning the British Championship three times and being the first English riders to compete at the famed Indianapolis Raceway Park during the NHRA championships. 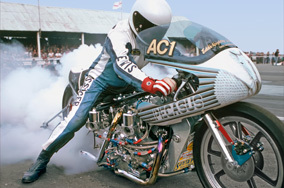 Last of the Pegasus machines, the twin engine supercharged Norton, now resides at the National Motorcycle Museum, Birmingham after running 8.39s at 170 mph for the standing quarter mile in 1978.